When you need an efficient, reliable company to clean your vacation home or office, you need to look no further than Ultra Clean of Brevard. Ultra Clean of Brevard has been in the business of office and vacation rental cleaning and turnovers for over twenty years, and has built up a solid reputation for the highest standards of cleaning and professional service in and around Brevard County, Florida. Ultra Clean of Brevard, Inc. offers all types of commercial and residential cleaning services in and around Brevard County, including Cocoa Beach, Melbourne, Merritt Island and Viera. If you have a business, we can offer commercial janitorial and general cleaning of office buildings, vacation rentals, apartment turnovers and other business premises. If you have a vacation home, we can make sure that it is cleaned to suit your schedule, so you'll always arrive to a beautifully cleaned, inviting home to maximize your enjoy of your quality vacation time. We can also provide vacation condo maintenance and cleaning of common areas. If you currently rent or are moving out, we offer a full move-out cleaning service, to save you the time and effort of cleaning yourself. Building your own new construction is an exciting time, yet construction companies usually don't leave new properties in the condition you would like to see when you move in. Ultra Clean of Brevard can completely clean your new construction from top to bottom, so you can move in to a wonderfully clean new home. In addition to general cleaning, Ultra Clean offers a number of specialized cleaning services. We can strip and wax wooden floors, and refinish and polish terrazzo floors, restoring them to almost original condition, to both protect and show off their natural beauty. We can also clean all types of carpet and upholstery. We also offer a full window cleaning service and can also undertake all types of general property maintenance, providing you with peace of mind when you are away or unable to undertake maintenance yourself. A high-quality standard of cleaning and general property maintenance is an essential part of owning and maintaining a property, yet neither are ever popular tasks. A professional, dedicated cleaning company can take over these chores and perform them to the highest standards, freeing up your time and energy for more enjoyable, productive or important projects. Why spend your precious time cleaning when you arrive at or leave your vacation home, or tackle the task of cleaning your rented apartment when you move out yourself? A professional cleaning company has the expertise and specialized cleaning products, plus a dedicated staff to complete the task to the highest standards, saving you the time and effort of doing the cleaning yourself. You can maximize your enjoyment of your vacation by arriving at a beautifully cleaned house or condo, which will set the scene for your entire vacation. If you own a business, you know that a high standard of cleanliness, janitorial service and general maintenance is essential for creating a good impression professionally. However, your general employees are probably not cleaning or janitorial maintenance specialists. 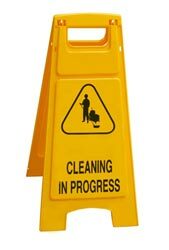 A professional cleaning company can provide a much higher standard of service, allowing you and your employees to concentrate on the more important parts of running your business. Contact Ultra Clean of Brevard Today and We'll Get Your Home or Office Cleaner Than Ever! Don't wait any longer. Contact Ultra Clean of Brevard today and we'll have your residence, vacation home or office clean and well maintained in no time. Just give us a call on 321-403-1761 and we can arrange convenient service for you.